In order to meet the various requirements of the customers, we are engaged in offering a wide assortment of Rectangular Kitchen Sink. 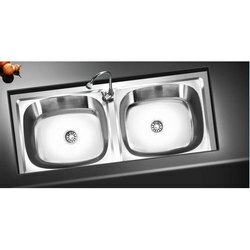 Owing to our in-depth knowledge of this domain, we are specialized in providing Diamond Kitchen Sink. 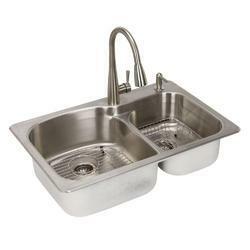 Made out of food grade quality salem stainless steel sheet, complete with or without sink and/or with undershelf/cabinet. - 16 gauge 430 stainless steel construction. - Fully welded gusset assembly. Impeccable international quality standards, aesthetic and ergonomic designs and sheer elegance are some of the things you can look upto in Nirali Sinks. Keeping in mind the progressive kitchen sink industry and the ever changing lifestyle of the people Nirali has come out with an extensive range of kitchen sinks.